SAN JOSE — The Santa Clara County District Attorney’s Office on March 1 charged County Supervisor George Shirakawa Jr. with five felonies: four counts of perjury and one count of misappropriation of public funds, as well as seven misdemeanors for failing to file accurate campaign reports. The 51-year-old, who has served as president of the Board of Supervisors, engaged in a persistent pattern of misusing public money and campaign funds for prohibited expenses, including parties golf outings and gambling. Shirakawa has agreed to plead guilty to all counts and hand in his resignation from the Board of Supervisors to the county clerk. He will be arraigned before Judge Philip Pennypacker on March 18 at 1:30 p.m. in Department 23. Assistant District Attorney Karyn Sinunu-Towery will ask the court for substantial jail time. The investigation of the county official was launched late last year, after a San Jose Metro newspaper article detailed that the supervisor had neglected to file a series of campaign disclosure forms. The four-month investigation by the District Attorney’s Office and the Fair Political Practices Commission showed that Shirakawa’s financial abuse was obscured by filing false campaign statements, or filing none at all, abetted by infrequent and cursory county oversight. The supervisor has also agreed to sign a stipulation admitting to 10 counts of violating the Political Reform Act, by making expenditures of campaign funds for personal use, in violation of Government Code Section 89512. He has agreed to a penalty of $5,000 per count, for a total penalty of $50,000. “It’s with great sadness that I announce today my resignation from the office of county supervisor. I will plead guilty on March 18, 2013, to the charges filed today by the District Attorney’s Office that are related to my campaign finance reports and inappropriate use of my county credit card. “I have always worked hard to serve my community and to put their interests first. It’s with that thought in mind, that I resign from office today. Our community can now move forward and focus on the critical public health and safety issues that affect our families. “By stepping down and pleading guilty to the district attorney’s charges, Supervisor Shirakawa is doing the right thing for his constituents and the county. I’ve known George for 20 years and am sorry that he got into this situation, but it’s better for us as a board and for Santa Clara County to put this cloud of controversy behind us. “The investigations into his alleged misuse of expense accounts, campaign finance reporting and personal spending habits were affecting his ability to represent residents of his district on issues that affect them. I strongly support Supervisor Shirakawa’s efforts to receive medical help and counseling for his depression and gambling addiction. “Shirakawa has had personal financial problems his whole adult life, including failure to pay taxes and child support. This was a major reason we did not recommend him for the board in November 2008, when he won a first term. He was unopposed for re-election in June. George Shirakawa Sr. worked as a teacher and coach at Silver Creek High School, and was elected to the San Jose City Council in 1990. He died in office while running for re-election, and an elementary school is named in his memory. In a special issue of The Hokubei Mainichi about mixed-race families, the elder Shirakawa discussed his experiences growing up as the son of a Japanese American father and a Mexican American mother. In a follow-up issue a decade later, the younger Shirakawa shared his thoughts about his multiethnic heritage. Shirakawa was born in Hanford in 1962 and moved to San Jose with his family in 1963. He grew up in the Sal Si Puedes neighborhood on San Jose’s east side and attended Mayfair Elementary School and Silver Creek High School (Class of 1980). Having a young family, he worked two jobs while attending college. Being the grandson of a decorated World War II, Korean War, and Vietnam War veteran, he served in the Army from 1981 to 1984 and reached the rank of sergeant. He has said that his mother, who worked a telephone operator and was a member of the Communications Workers of America, taught him the importance of hard work and the responsibilities of raising a family, and his father instilled in him the values of community service. Before becoming an elected official, he worked as a youth counselor, community liaison and football and baseball coach at Yerba Buena and Foothill high schools. 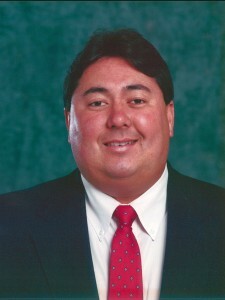 In 1992, Shirakawa was elected to the Franklin-McKinley School Board. Following his father’s death in 1994, he was appointed and later elected to the San Jose City Council, served two terms, and was vice mayor during his tenure. From 2002 to 2008, he was a trustee of the East Side Union High School District and served as board president during his tenure. He was elected to the Board of Supervisors in 2008 and became board president. He is the divorced father of four children and the grandfather of three.